I start this episode with a short remembrance of Stan Lee. I’m not the biggest Marvel guy, but you can’t deny the impact he had on all comics over the years. Then I play a podcast I recorded with my 4 year old son, who we’ll just call the Yaklet here. We go through his favorite Transformers, superheroes, and PJ Mask characters in his first podcast. 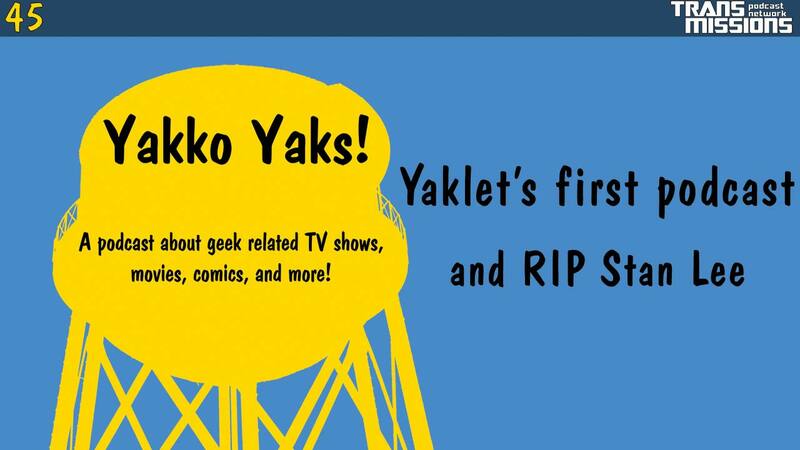 Remember to send your feedback at yakkoyaks.com/yaks45 or on twitter @yakk0dotorg and please subscribe and leave a rating and review in iTunes or your favorite podcast app!